Well what a drab old day it is today, can only just now see the top of the local hill now as the blanket of fog rolls off it slower than a sloth. It’s my mothers birthday today, she will be ?? years young and is quite happily engrossed in a cross word right next to me. She is cheating. As I write there is a huge snowstorm hitting the east side of America, and I cannot help but worry about my fiancé and cat at the moment. The house in New Jersey is smack bang in the middle of no where and is notorious for loosing power at something as simple as a gnats fart. It is a pain in the neck when the power goes because it also turns off our supply of water, last time a snow storm hit us we where without power for over a week and ended up boiling the snow on our deck to get some water to have a bird bath wash in. It was a blooming miserable and bitterly cold time. If you haven’t already guessed, my fiancé is American and has lived and worked in America all his life; I am English and have lived and worked in England all my life. For the past couple of years I have been to-ing and fro-ing from this country to that that one, so every time I arrive at a new place I always have to leave something behind in the old place, friends, family, animals, jobs, home, education and so on. Having done this trip so many times I have got used to it but it doesn’t mean that I like leaving those special things in the distance. It is especially hard right now because he was involved in a car crash on Monday with a lady t boning his drivers side and she didn’t even think about putting on the brakes, luckily he is ok, a bit of a bump on the knee which I have insisted he get sorted out. The car however isn’t in the best of shapes but when you drive a Subaru you know what not even a tank could cause any major damage to them, they have a whole weird force field shield around them. Currently, he’s driving my car, I have left him with the strict instructions not to kill that one, she is my baby and sadly lost its force field shield the day it was built. Talk about a long distance relationship, this is ridicules, but hey I like the sense of adventure and over the past few years I have grown to know being in America as a kind of home but my heart will always know England as the place that owns me. Up until now my photos have been in New Jersey but now you find my image today at a rather gloomy JF Kennedy airport just outside of New York. I find airports to be the ultimate limbo when I am on my own because it is the one place where I am without any of those I arrive to or leave from, everyone I need or want is in the distance. On the other hand on a cheery note, I find airports fascinating (well, until you get stuck in one for three day, which has happened, the is another story on its self), everyone is going on a adventure of some kind and everyone has a story of why they are going, some are happy, some exited, some relaxed, some tense, many are very tired, few are agitated, some are lonely some are sad, every type of emotion rolled up into nothing more than a car park to the next destination. To somewhere in the distance. As for the plane rides, I have met some wonderful people, some of whom I still keep in contact with, everyone from teachers, to lawyers, to stay at home mums, to Army, Navy, Air force and everything in-between and although I am not the most talkative of souls, I still like to find out what brings them to be sat in the seat next to mine. It is the only way to lose the usual seven-hour flight back to where I can call base. The teacher was such a lovely man, he told me a story of how him and his wife where raising money to buy books for children in his local area of South Carolina, along with that they where also fund raising for children’s literacy programs in Africa, and as if that was not enough they also helped out with soup kitchens and clothing donations. He was sad that he had to leave his wife at home for this trip because she had become unwell but had insisted that he still make the trip to his son that worked in the financial district of London. He was just coming back from his other son whose wife was just about to give them another wonderful grand child, they had recently moved into a new apartment in Brooklyn so he could be nearer his lawyer offices. We kept in touch and the last time he came to New York, him and his son invited my fiancé and myself for a grand day out where he treated us to wonderful restaurants and a fascinating trip round the museum of modern art. So this is how I have lived my life for the past five to six years, in limbo and from a distance, and although it is heart wrenching at times to be so far away from those you love, it is also an experience that I will never regret because it has given me so much more to be grateful for and experience from. 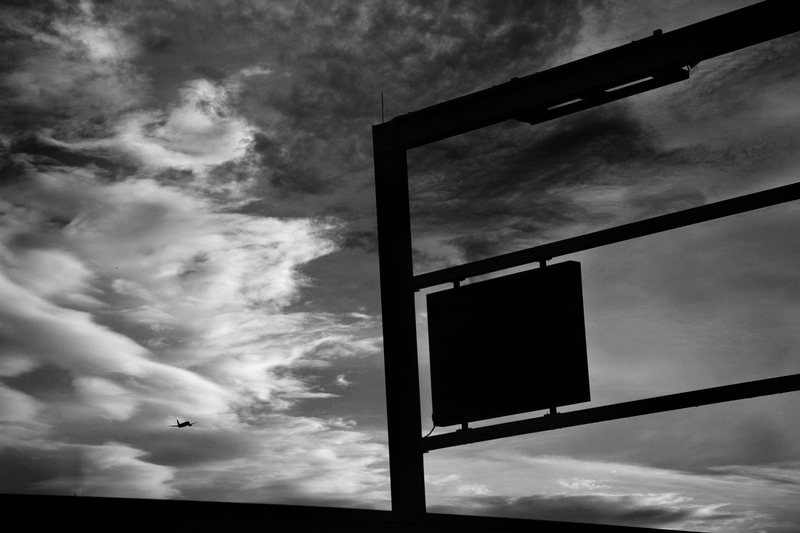 This entry was posted in The 30 day Photo challange and tagged airports, being far away, Black and white photography. Bookmark the permalink.